Everyone, at some point or another, gets a headache. But if your head pain is constant or frequent, you may benefit from treatment at the Center for Natural Family Medicine. LeTrinh Hoang, DO, and her team take a holistic approach to care and look for nonprescription solutions for health conditions like headaches. Call the office in the Carthay neighborhood of Los Angeles or Arcadia, California, today or schedule an appointment using the online booking tool. A headache is a general term that refers to any pain you feel in your head. Pain can vary from mild to severe and be located in one area of your head or radiate throughout. Headaches are very common and a frequent reason for missed days at work or school. Your skull is a closed compartment where blood supply is actively pumped in but relies on gravity for drainage. Any trauma to the head, whether from a fall from your bed as a child or a dental procedure, can cause a blockage to your drainage system and lead to various symptoms. Tension headaches are the most common type of headache and are generally caused by a tightening of your neck, shoulder, scalp, or jaw muscles. Pain from a tension headache is generally mild to moderate. Cluster headaches cause constant burning or stabbing pain behind your eye and inflict the most severe pain. If you suffer from cluster headaches, you may have a difficult time sitting down during an attack. They’re referred to as cluster headaches because they tend to occur several times a day over a set period of time and then disappear. Migraines are the second most common type of headache and may cause other symptoms, such as nausea or sensitivity to light, in addition to head pain. Sinus headaches develop from inflammation that occurs in your sinus cavity and is most often associated with allergies. The team at the Center for Natural Family Medicine takes a holistic approach to the management of headaches with a goal of finding a nonprescription solution that gives you lasting relief. Treatment for your headaches is aimed at finding the trauma causing your pain. The trauma may be recent or many years old. 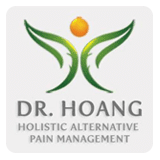 Then, through gentle osteopathic treatment, which may include spinal manipulation, massage, or stretching, your specialist relieves the trauma to improve blood flow to your head and relieve your symptoms. For a holistic approach to the management of your headaches that promises lifelong relief, call the Center for Natural Family Medicine or use the online booking button to schedule an appointment.